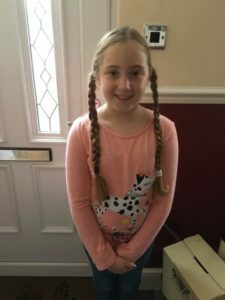 Emily Mahoney, age 10, of Trinity Brownies in Royton is making the headlines for all the right reasons. Sticking to her promise of ‘I will do my best’, Emily has managed to fantastic feats in the last year. 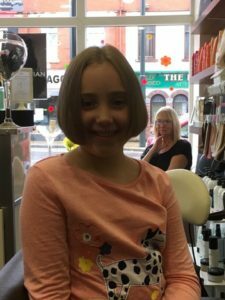 Emily’s first act of ‘Being Her Best’ occurred when she grew her hair out before having it cut and donating it to the Little Princess Trust. This selfless act means that the Little Princess Trust will be able to provide a real hair wig, free of charge, to a boy or girl across the UK and Ireland that have lost their own hair through cancer treatment. The second act of ‘Being Her Best’ saw Emily receive a ‘Talent For Writing’ award after having an original piece of creative writing that was selected for publication in a Young Writer’s Anthology. Emily’s poem impressed the publishers and was chosen from a whole host of entries of young writers. Emily now eagerly awaits the release date of the Young Writer’s Anthology which is set for Friday 30th June. 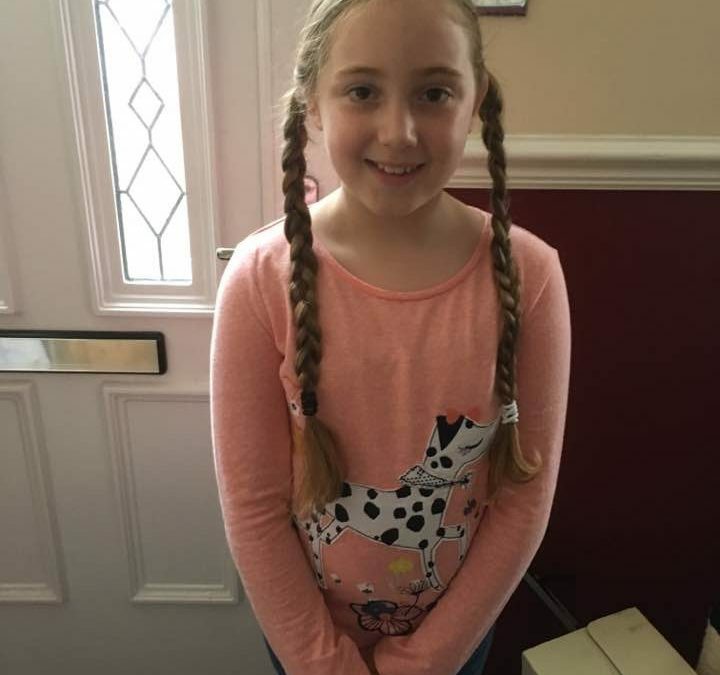 Regarding Emily’s published poem, Clare said “In her writing she is very creative and her poem was fantastic, I am extremely proud of my beautiful little girl and with me being a guiding leader she truly is a great example to other young girls”. Mike Mahoney, Emily’s dad, said “It’s been a tough 12 months for the Mahoney family and Emily has been an inspiration to us all, I couldn’t be more proud of her”. Girlguiding gives girls and young women a space where they can be themselves, have fun, build brilliant friendships, gain valuable life skills and make a positive difference to their lives and their communities. If you want to get involved visit www.girlguiding.org.uk.